A new Galaxy. Samsung introduced its smartphone flagship from the latest portfolio at a big event in London. A quad-core SoC based on ARM, a 720p screen, NFC and Android 4.0 ICS belong to the must-haves of this category today. Is Samsung's Galaxy S3 the new category leader in an attractive packaging? Motorola Moto G vs Samsung Galaxy S3 smartphone comparison review: which is the best budget Android phone? Choose the Moto G if you want a more recent version of Android and a cheaper phone. The Galaxy S3 is a marginally better performer with a marginally better camera. But really these are two excellent smartphones that offer a glimpse of just how much phone you can get for relatively little cash these days. 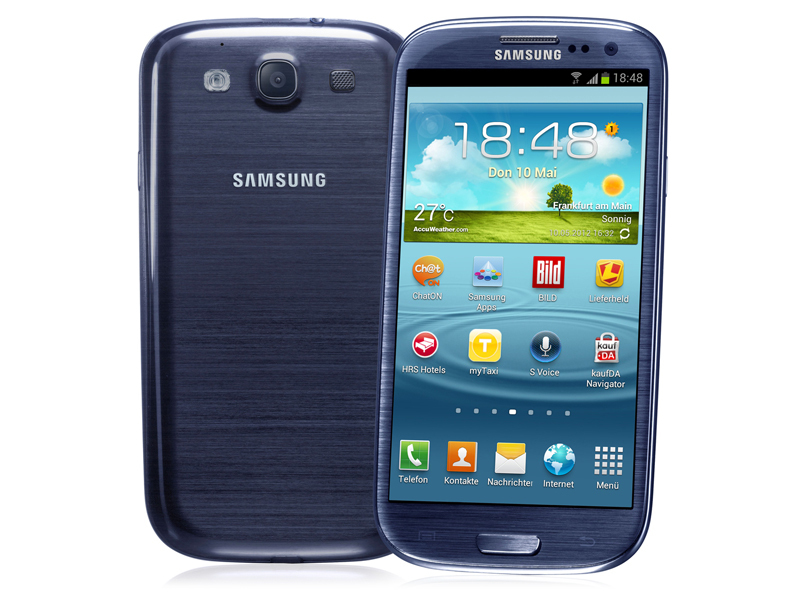 90% Samsung Galaxy S3 review - how does the Android phone that changed everything stack up now? The Galaxy S3 remains an excellent smartphone. It offers a good design and build quality, despite our small niggles. Samsung has put together an impressive set of hardware resulting in silky smooth performance and extensive software features. It is certainly in no way outdated in the current market. ARM Mali-400 MP4: Muchos juegos son difícilmente ejecutables con estos adaptadores gráficos o se ejecutan de manera muy lenta. 4412 Quad: SoC Quad-Core Cortex A9 con una tarjeta de video ARM Mali-T604. 4.8": Esta es una diagonal típica de smartphones. 0.133 kg: Solo algunos smartphones son más livianos que eso. 87.5%: Esta es una buena evaluación arriba del promedio. Sin embrago, no se olvide que 10-15% de todos los modelos de portátiles obtienen una mejor evaluación.